Can you give me a clear definition of who an informal carer is? A carer is someone who looks after a relative or friend, who, because of disability or the effects of old age cannot manage at home without help. What constitutes a ‘substantial amount of care on a regular basis? Policy guidance LAC(96)7 does not give any national guidance on how these words are to be interpreted and advises local authorities to determine locally how they will interpret these terms. Previous guidance suggests, however, that ‘substantial’ should be given wide interpretation which fully takes into account the individual circumstances of the carer – it is essentially a subjective question. ‘Regular’ simply means an event which recurs at uniform intervals (i.e., not necessarily frequent).’ (Carers Recognition and Services Act). The above definition is also linked to other legislation, one being the acquisition of Carers Allowance (DWP benefit). For the purpose of Carers allowance, one of the criteria states that a carer must spend at least regularly 35 hours a week caring for a person (adult carers). 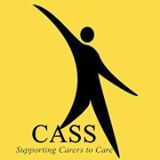 As stated before, CASS as an organisation do not keep strictly to the ‘time’ criteria as each individual case is different and the impact caring has on each individual is different. I am a student studying the role of informal carers. How many carers are there in the UK? 1 in 8 adults (around six million people) are carers. Over 3 million people juggle care with work, however the significant demands of caring mean that 1 in 5 carers are forced to give up work altogether. 625,000 people suffer mental and physical ill health as a direct consequence of the stress and physical demands of caring. Source: Carers UK – Information and statistics has been produced by Carers UK as a result of surveys and research across the UK covering a range of topics such as Carers’ health, employment tasks, age and poverty. The information was updated in 2009. My elderly relative has been discharged from hospital and lives on his own. The hospital has to accept his decision as he is still very able in his mind. My relatives and I all plan to visit often and he has a home help. However this is infrequent and we are very concerned about him when we are not able to be with him. We feel that it is very important to respect his independence and have therefore decided that we should pay for some extra help. Do you have access to some information on how to go about finding the right person for the job and the going rates of pay that are expected for this type of work, please? If your relative didn’t have a proper assessment before he was discharged from hospital – the first move should be to get a community care assessment. Even if he has had one fairly recently (before his hospital stay) he should be having another as his condition has most likely changed following the hospital stay. The Social Care & Health Department have a duty of care to him and should put in a package of care to properly support him. However their assessment of what is needed may differ from what you and your family would be happy with. I would also recommend that either your father, uncle or you are with your relative when any assessment takes place and also that whoever will be undertaking most of the caring requests a carers assessment (which they are entitled to!) because it will give them a chance to say (away from your relative) what level of help they can or cannot provide as a family. Direct Payments are available to older people in some areas of the country to assist with them employing their own care staff and that would be based on the assessed need by social care & health. However if you want to purchase additional care privately I think your best route would be to ask social care & health for a list of care agencies that they contract with – social care & health won’t be able to recommend one in particular but should be able to provide the list. If the agencies have a contract with social care & health then the family should be reassured that they meet a certain standard. Rates will vary around the country. A local carers organisation may be able to give them more information. Also is your relative getting Attendance Allowance to help with paying for care? My wife and I are planning to look after an elderly relative at our family home. Due to my work commitments we anticipate that my wife will be the main carer. The elderly relative will need help with getting dressed, cooking, shopping and being there for her when she needs assistance. 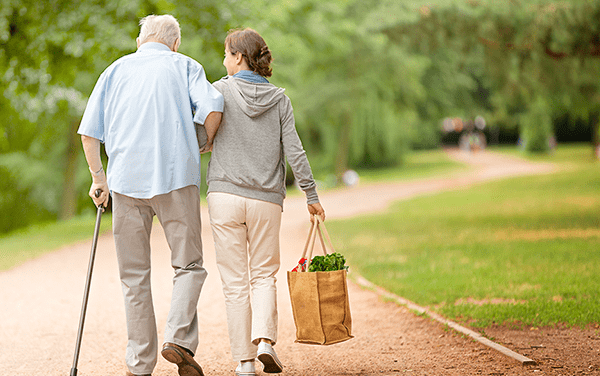 Would my wife be eligible for Carers Allowance? The main criteria for the main carer to receive Carers Allowance is that your relative must be in receipt of Attendance Allowance or Middle Rate Care Disability Living Allowance (or above). A carer can still work but cannot earn more than £95 per week after national insurance and tax. The Carers Allowance is currently set at £53.10 per week. If the cared for person is in receipt of any other benefits then some money may be stopped because of the carer claiming Carers Allowance. I care for my elderly old mother, who is house-bound. She is able to move around her own house unaided. She can get upstairs to bed unaid as well. I supply all her needs from shopping and preparing all her meals to bathing , and all general household duties. I work full-time and rely on neighbours and good friends to make sure she is OK during the day. After a fall at the beginning of the year, when she broke her arm she also has visits from paid carers. Is it is possible for me to claim carers allowance, and also to claim disability allowance for my mother? Unfortunately you would not be able to claim carers allowance because you work full time. It sounds as though your mum would be able to claim attendance allowance though. This may be at the middle rate of £47.80 per week or if she needs help during the night – even if it’s just someone being awake to make sure she is safe after using the bathroom, £71.40. The Benefits enquiry line will help with this, their number is 0800 882200.